Born and raised in Minneapolis, Prince was extremely loyal to his hometown. Fans of the artist (and really, who wasn’t one?) have plenty of Prince-related sites to choose from within the city and its surroundings. From Paisley Park to many iconic locations seen in Purple Rain, here are the top places every Prince enthusiast needs to visit. Many artists have graced the stage at First Avenue, but what really shot it into stardom was Prince’s use of it as the setting for many scenes in 1984’s Purple Rain. You can’t miss it when passing by: the black exterior is stamped with a sea of silver stars in homage to notable musical acts that have performed here, with a special gold star for Prince. Come here for a show, a behind-the-scenes tour, or to snap a picture of the outside. This iconic venue also kickstarted the careers of many local artists including The Replacements, Hüsker Dü, Soul Asylum, Semisonic, and Atmosphere. Paisley Park was both home to Prince and to his former record label, Paisley Park Records. Started after the success of Purple Rain, hundreds of artists recorded at the studio before it folded in 1994. After it folded, Prince continued to live and record here, hosting his famed secret parties and concerts, until his death in 2016. Paisley Park is now open for official guided tours of his studios where fans can get a glimpse of Prince’s personal archives, instruments, iconic wardrobe, and more. Known for the occasional impromptu Prince jazz session, Bunkers is one of Minneapolis’ longest-running neighborhood music venues and restaurants. Drop in for a taste of what’s playing, any night of the week. 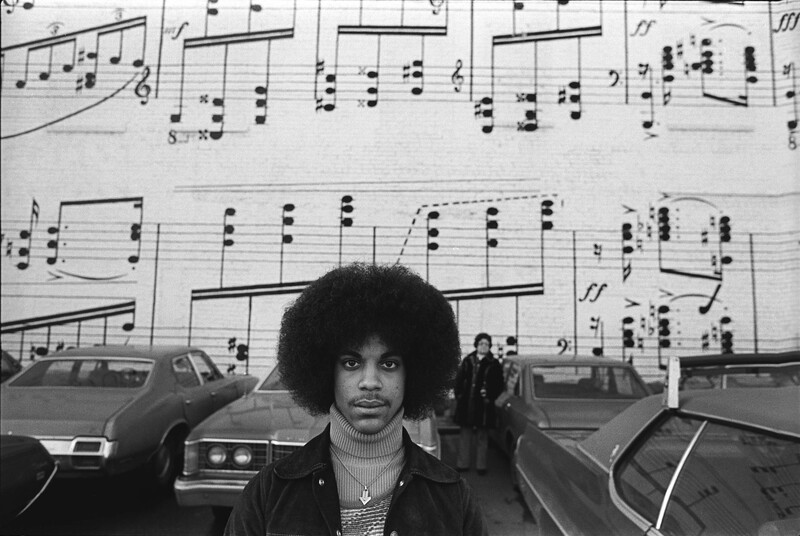 Although the former Schmitt music store is no longer located in the building itself, its exterior is the backdrop to one of Prince’s earlier photoshoots. Still preserved today, the musical score painted on the wall is taken from Maurice Ravel’s “Gaspard de Nuit”, an extremely-tricky piano piece that was chosen mostly for its aesthetic appeal. Any Prince fan will know the Purple Rain’s iconic quote, “purify yourself in the waters of Lake Minnetonka.” While you never actually see the lake in the movie, this picturesque body of water is worth a visit for its hikes and views. Home to many surprise Prince concerts, the downtown Dakota Jazz Club is a great spot to grab dinner while listening to local music. Or, if you’re looking for a nightcap, they also offer a great late-night happy hour from 11pm-1am. The site of the home in Prince’s Purple Rain exterior shots doesn’t hold much more than that, but the site itself will please any diehard fan. Although Prince purchased the home shortly before his death, no renovations were made to the property and it still remains vacant. One of the best record stores in Minneapolis, the Electric Fetus was a favorite of Prince’s. Stop here to shop rare records and to get a taste of the city’s music scene.